I found this huge tree in the front to be extremely weird and with the clear sky in the background it got a perfect scenery look to drag my attention. The upper part of the picture looked quite empty in comparison to the lower part and so I decided to add a Rainbow to complete the scenery. The picture is qlikd in the Program mode with fluorescent light. Gradient option is used in photoshop to form the Rainbow. 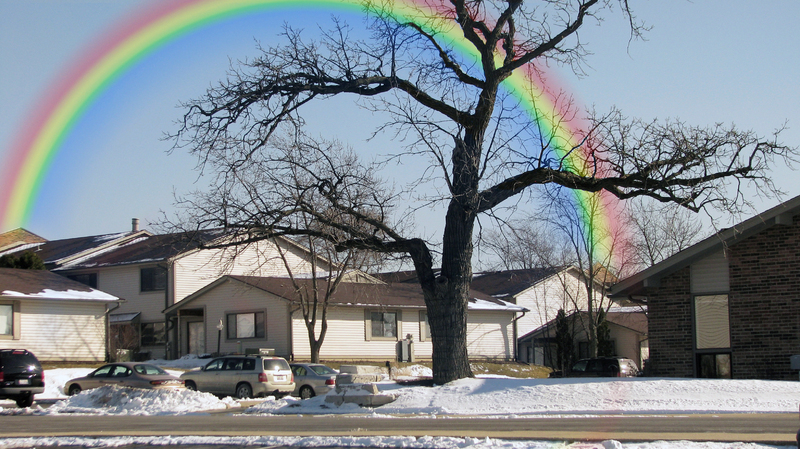 This addition is done on a separate layer and the History Brush is used to clean overlapping of the rainbow colors on the branches of the tree. Auto Color option is used for the final touch up.